EMPIRE goes forth on the earth. established due to this PURITONISM  in  the England. Prophet and earnest to the religion. are the ruler in Panjab state of India permanently. (II) 	Ethics - Acting Right in coincidence with sacraments. (III)	Industry - to provide employment on large scale to their followers. 4. The religion is always a source of might as well as political 	power. CREATED OUR OWN SANGH - BUDDHA VIHARAS    	WILL BE POWER CENTERS OF OUR 	SANGH. from immense povery, atrocities and disrespect. in the premises of Government Higher Secondary Habibia School. Hindu and Muslim and the advantage was taken by the saffron BJP party. false promise to build Ram temple, but they failed to keep the promise. They have deceived people, he lambasted. 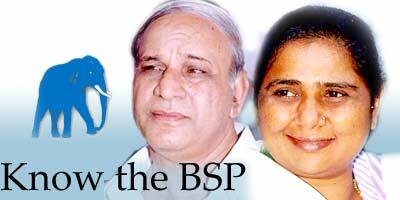 the party under leadership of BSP supremo Mayawati. Brajesh Gupta, Dr Sukhdeo Singh, Haji Sharif etc were present. The list included the name of Jagat Singh, son of former External Affair Minister K. Natwar Singh. Bharatiya Janata Party’’s (BJP) rebel MLA Madan Mohan Singhal also got a ticket. 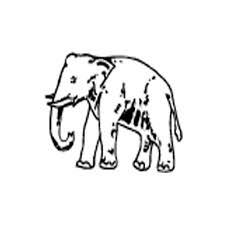 He is being fielded from Kama Assembly constituency, said BSP general secretary Dharamveer Singh Ashok to reporters. The list of remaining 45 Assembly constituencies would be declared soon, said Ashok. However the seats have been kept open for them, said Ashok. Submitted by Mudassir Rizwan on 1 September 2008 - 11:54am. million (Rs.18 crore) for 100 seminaries in the state, they said. spends around Rs.1.15 billion (Rs.115 crore) on these madrassas. Noted Muslim clerics met Mayawati July 2 and urged her to include more seminaries on the grant list. The move will uplift Muslim educational standards, he said. seminaries - the figure being highest among all Indian states. Majority of these madrassas are dependent on the funds raised by Muslims. political alternative was a certainty before the next general elections. policies and they would not change them as they were under U.S.
made, but the fact was that there was all-round deterioration. after the farm sector crisis. a solution to the problems confronting the country. A blue flag with an elephant. the Bush administration’s warnings of war, just like he stood up to the war in Iraq. unless we can draw on strong international support. deal with challenges like terrorism, and Iran and North Korea’s nuclear programs. Israel and a Palestinian state, living side by side in peace and security. the capacity of our civilian aid workers to work alongside the military. giving NATO commanders in the field more flexibility. that can promote stability and prosperity; and work to ensure that China plays by international rules. smuggling of weapons of mass destruction throughout the world. nuclear arsenals, and stop the spread of nuclear weapons. new nuclear weapons material. This will deny terrorists the ability to steal or buy loose nuclear materials. range missiles so that the agreement is global. and countering instability in Congo. once a month to review foreign policy priorities, and will be consulted in advance of military action. of our intelligence community – not just a political ally. secure but routine, efficient, and cost-effective. occasional fireside chats via webcast. States would never distance itself from Israel. Barack Obama has consistently supported foreign assistance to Israel. the development of missile defense systems. Darfur Peace and Accountability Act in 2006.
against HIV/AIDS, including our fair share of the Global Fund. for demagogues to advance an anti-American agenda. treat our hemispheric partners and neighbors with dignity and respect. unlimited Cuban-American family travel and remittances to the island. police forces, religious freedom, and the rule of law. billion to achieve that goal. across the hemisphere, and to tailor approaches to fit each country. True leadership means finding the balance we have lost. It may thus come down to this question: What would Buddha The Mighty Great Mind do? to keep him or herself in a higher position in comparison to others. earned mastership is gained only after sublimating oneself adequately. should be given up heartily. challenged and its peace was disturbed. class had been prescribing false and selfish rules again and again. by them. They were as a way asked to give all of theirs to them. 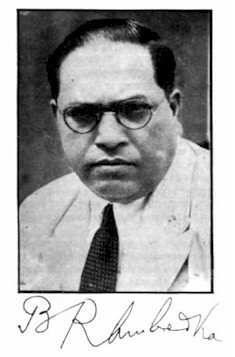 to this class were called Shudras. breathe as per their indications. affection. Gautama did not want to force any right on anyone. reasons that aggrieve us. He searched a way to put an end to agonies. It means - No one is Brahmin by birth. No one is low. A man is Brahmin or low as per his deeds. get entry in to heaven or shall have to suffer hell. grasped by people in general very soon. know both “Samvrattik” and “Pramarthik” truths. shortcomings and causes of agony. only a message of his religion: it was also an all-sided basis. worship freely unto Almighty even if he carried out sublime activities. “Those cannot be learned who cannot control themselves. regulations framed by a specific class were symbolical of injustice. society towards a simple, practical and real objective. every time. Consciousness and intellect also change in the same manner. Not only that, we shall render happiness unto others. may leave us here to suffer agonies. extreme harshness and simpleness that is not possible. Our old ailment is that of human-distinction. The way shown by Lord Buddha is clear. is the essence of his peace-oriented human religion. and writer. He is the Former Vice-Chancellor of University of Meerut.